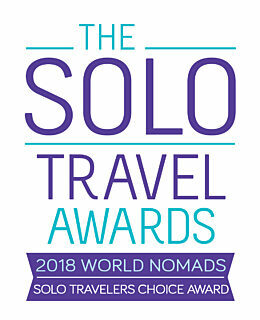 Adventure Canada is proud to be the recipient of the 2018 World Nomads Solo Traveler award, presented to companies that excel at serving solo travellers by offering tours, cruises, and vacation packages with no or very low single supplements. Adventure Canada trips are for everyone—and we offer different pricing options for solo travellers to ensure that everybody feels welcome aboard! Please note that this pricing is not available for every departure. Please contact us for more details. Aboard the Ocean Endeavour, we have a limited quantity of cabins in category 3 through to category 7 with no single supplement! Once these cabins are sold, the single supplement fee (in order to secure a cabin to yourself) is 1.5 times the berth cost. Single occupancy in category 8–10 available at full double-occupancy rate; these cabins can be booked by solo travellers if the full double-occupancy rate is paid. If you are willing to share a cabin, additional discounts may apply! We have options available in cabins from category 1 through 7. If you consent to share, but we do not find you a roommate, you do not pay extra. We have many past travellers who have found new friends and travel partners after meeting while sharing a cabin. Is solo travel with Adventure Canada for you? This video highlights solo travel with Adventure Canada, featuring past traveller Christine Miller. We want each and every one of our guests to have the experience of a lifetime—whether that's with friends, with family, or sailing solo. Christine shines a light on what it means to her to travel alone ... and how the Adventure Canada ethos enriches that experience.